September 12, 2016 September 12, 2016 by Beau H.
Editor’s note: For other seasonal style wish lists, click here. Can you believe it’s (nearly) here already? Fall? Me neither. As always seems to come up with these seasonal style wish list posts, it feels as if I just sat down to write the last one — did you manage to pick up everything from your spring style wish list, while we’re at it? Making what can feel like the rather abrupt transition from style built for the heat of summer to style geared toward cooler climes is a luxury for some of us, but it can be just as much of a struggle if you’re looking to add transitional pieces to your wardrobe. And of course, it might still be a bit warm in your area. But fall is coming, and we’ll get to that in the coming weeks. For now, we’re still in Wish List mode here at The Style Guide. So, the below pieces are picked (sometimes) with budget in mind, but they more likely represent the best of fall style out there — according to this #menswear editor, that is. That means we’re looking for pieces that more often than not exude rugged, versatile and exemplary fall style — it’s a time for crisp breezes, crunching leaves, walks in the park, some football-viewing and beer-drinking … it’s, in short, the most wonderful time of the year (wink, wink). Don’t believe me? Read on for the below Style Wish List picks, and follow along on Instagram for more transitional style inspiration — you won’t be let down, promise! A durable new piece of outerwear that’s built for darn-near anything. 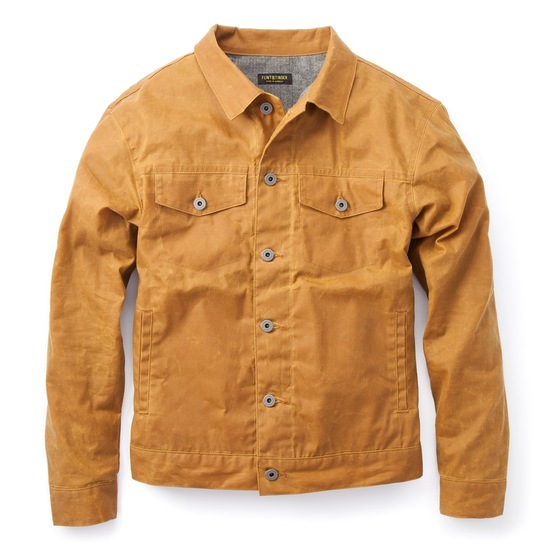 Ladies and gentlemen, boys and girls — step right up, because the good folks at Flint & Tinder have done it again with this stunning waxed trucker jacket. The makers of your favorite domestically produced boxer briefs and a stupendously great hoodie have really outdone themselves this time with a beautiful piece of outerwear that’s practically tailor made for fall. The Whiskey color is rich and should look great with dark denim and a rugged henley, and the herringbone flannel lining should keep you nice and warm through all sorts of fall festivities. Feel free to rock this guy into winter, too — the Martexin 7oz. waxed sail cloth can handle a little inclement weather. The ideal Oxford to offset the ideal fall jacket — right? 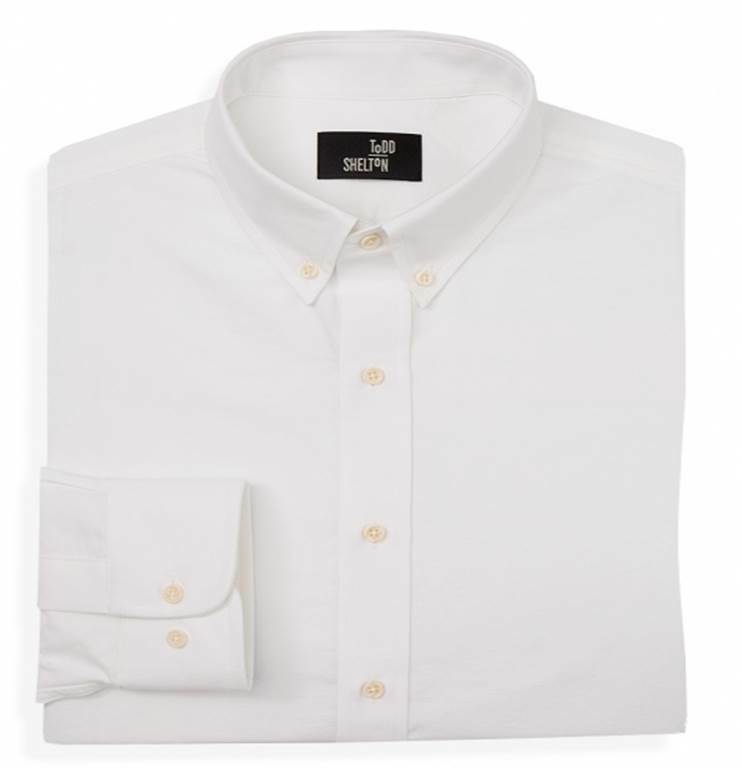 This Oxford shirt right here is another Wish List-worthy piece, if only based on price alone. Every guy needs an essential Oxford shirt in his closet — we’re talking one that pairs with everything from chinos and crisp white sneakers in the summer to that durable waxed trucker jacket in the fall. Well, this Oxford fits that bill beautifully. It’s made from a substantial but breathable 100/2 ply cotton (that’s two fine yarns twisted together), and the made-in-America construction and customizable fit are huge bonuses to a piece that’s investment-worthy in every sense of the word. It’s a great piece year-round, but it would add an extra touch of crisp refinement to your favorite fall style essentials, like a shawl cardigan and sturdy dark denim. 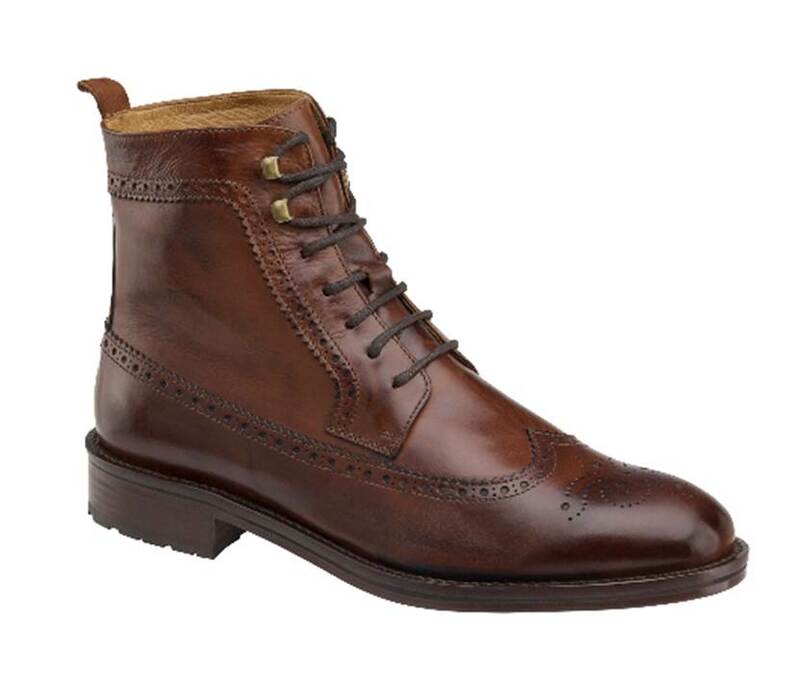 Italian-made leather wingtip boots that you won’t want to take off? Sign me up. From my recent travels to Michigan to a Labor Day weekend in Asbury Park, Johnston & Murphy has certainly won over this style writer for blending comfort, quality and affordability. With that spirit in mind, it’s easy to see why a dependable, durable-looking and just plain handsome pair of wingtip boots makes the cut on this list. Handcrafted in Italy, these tan calfskin leather boots are the ideal mix of rugged and refined, able to add a bit of flair to faded grey denim or a pair of slim wool trousers — try out either combination from one day to the next if you don’t believe me. Oh, and don’t forget stylish socks that add a bit of color and comfort, will ya? The answer to your search for the perfect fall henley, made right here in America. Yet another piece from Flint & Tinder on this list? Believe me, the brand’s new fall collection really is that on-point. 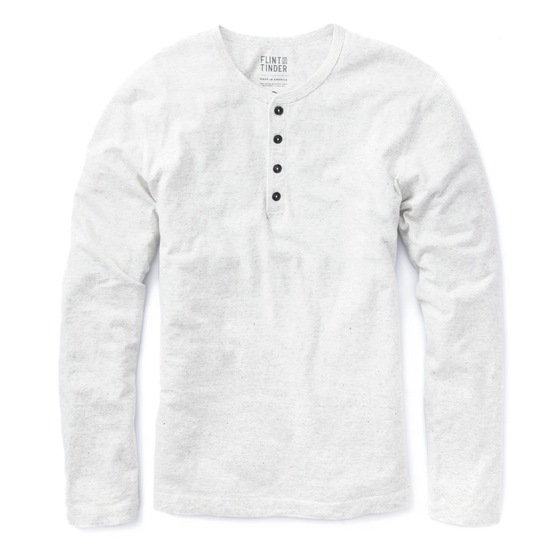 We here at The Style Guide (ahem *just me*) love a rugged henley, and it looks as if the newest addition to the Flint & Tinder line takes the cake in terms of the designated henley spot on this year’s Fall Style Wish List (only partially kidding). While it’s also available in versatile colors like Navy and Olive, you really can’t go wrong with a classic white henley. It’s another made-in-America piece that’s going to have you covered for all sorts of style situations, particularly including pairing with a certain tough trucker jacket (can you see a theme here?). Of course, it’ll also set you right for layering under everything from a wool blazer at the office to a navy field jacket at your next rock concert. Low-top leather sneakers in the fall? If you know how to style them, yes indeed. Yes, we’re going with another pair of footwear to round out this list (although it was mighty hard to narrow it down to just five!). These sneakers are certainly a worthy Wish List — or wait list — addition, as they’ve sold pretty quickly (that seems to make them even more covetable, however). 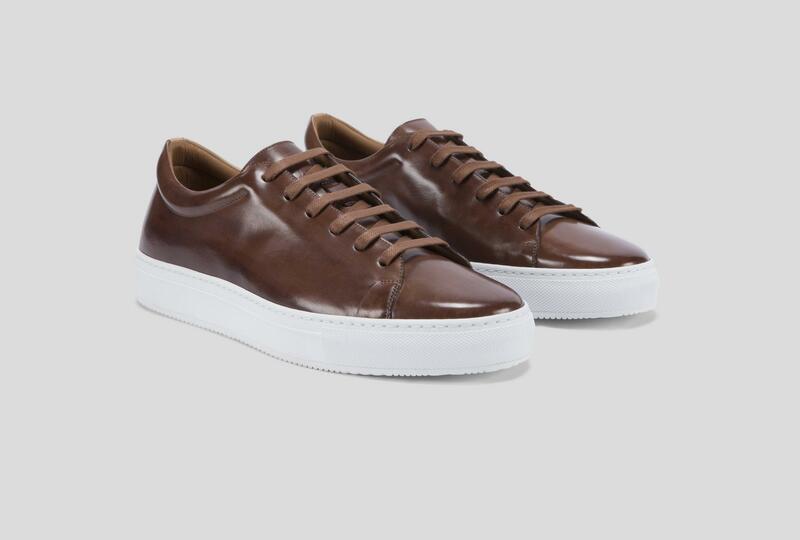 A pair of rich brown leather sneakers is a pretty underrated style accessory in fall — it’s still sneaker weather, even if at first it might not seem like it. The color of this particular pair makes them as versatile as leather chukka boots — style them with a white Oxford and navy chinos for a high-low office look, or pair them up with a crewneck sweater (and yes, even that waxed trucker jacket) for a dash of slightly dressy weekend style. What are you waiting for? Hop on them before they sell out! Are you fully on-board with the above Fall Style Wish List picks? I certainly hope so. There’s plenty more fall style-centric content to come in the weeks ahead, particularly focused on pieces you’ll love to wear, like leather chukka boots, slim henleys and yes, a trucker jacket or two. If tackling the changing seasons at first feels daunting, look for investment-worthy pieces you can wear across all seven days of the week — dependable boots and a crisp white Oxford should certainly be on your shopping list if you don’t have ’em already, and a reliable long-sleeve henley is a must-buy (at least in the mind of this author). Everyone should splurge — truly — on a staple piece of outerwear that you can wear all season long, and that waxed trucker jacket is Exhibit A. Heck, the longer it takes me to write this post, the more ready for fall I get. If you’re in the same boat, or if you feel I missed any fall style picks, give me a shout on Twitter.